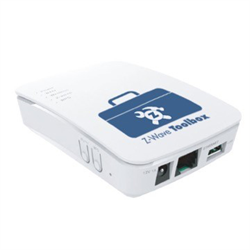 The Zwave Toolbox is an excellent tool for any professional Zwave automation installer. It provides insight in to the Zwave network and environment that may be crucial for troubleshooting. Zwave networks tend to be very robust and easy to install but when trouble happens, or as a pre-installation survey tool the Zwave toolbox is a must have for the pro installer. 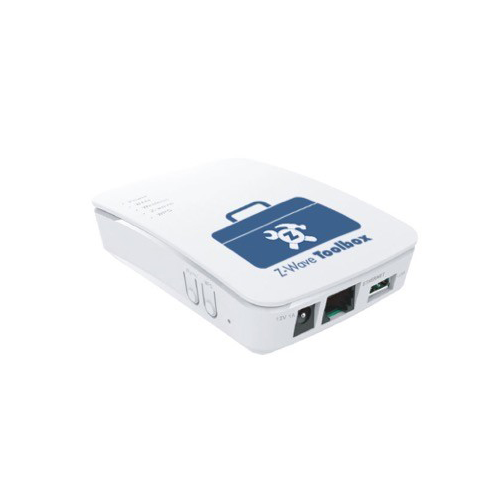 This function allows the installer to see Zwave traffic and troubleshoot connections, identify abnormal operation and find weak spots in the network. This function scans frequencies around the North American Zwave Spectrum to check for potential interference. This is a very powerful tool that can determine link stability, quality of Zwave service and latencies. It can help the installer troubleshoot and optimize Zwave networks. PLEASE NOTE: This is a pro level product. While we do make it available to anyone, please understand it is very technical in nature. We do not accept returns on the Zwave Toolbox. Dimensions: 3 x 4 x 7 inches.